IPBox 3 Pro Generation High Speed Programmer is a new programmer for iPhone 7 Plus / 7 / 6S Plus / 6S / 6 Plus / 5S / 5C / 5 / 4S / iPad / iPad mini / iPad Pro. 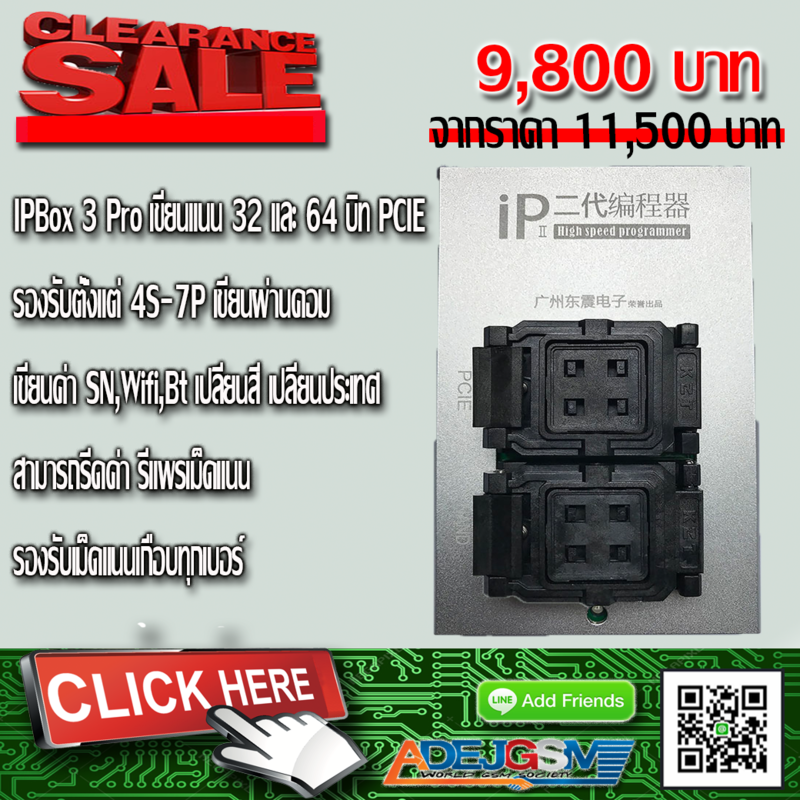 IP Box II Generation High Speed Programmer - 1 pc. LGA52+60 / LGA70 Test Socket (fixture) - 1 pc. USB Cable - 1 pc.